Since its initial release in 2015, Windows 10 has gone through a number of significant changes to meet the needs of modern enterprises, adding and dropping features as Microsoft sees fit. It is time to see what we know about Windows 10 as it stands right now. 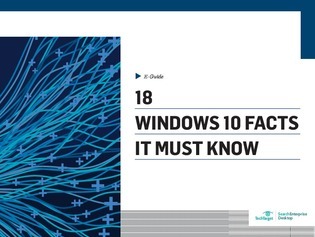 This e-guide runs down 18 facts that you need to understand to make the most of your W10 deployment.